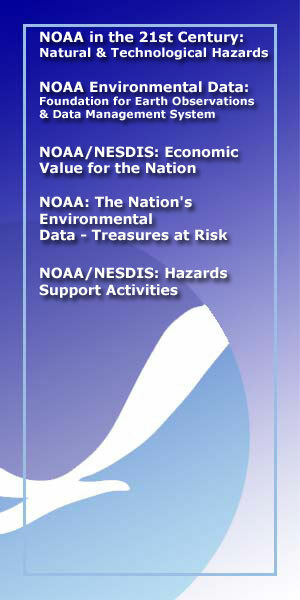 NOAA's National Environmental Satellite, Data, and Information Service hosts a number of NOAA and NESDIS publications on-line, for viewing and downloading. The publications briefly describe NOAA/NESDIS programs in climate monitoring, marine and coastal ecosystems, and natural hazards mitigation. They describe data-gathering platforms and potential uses of scientific data. Download Adobe Reader, a free pdf reader.